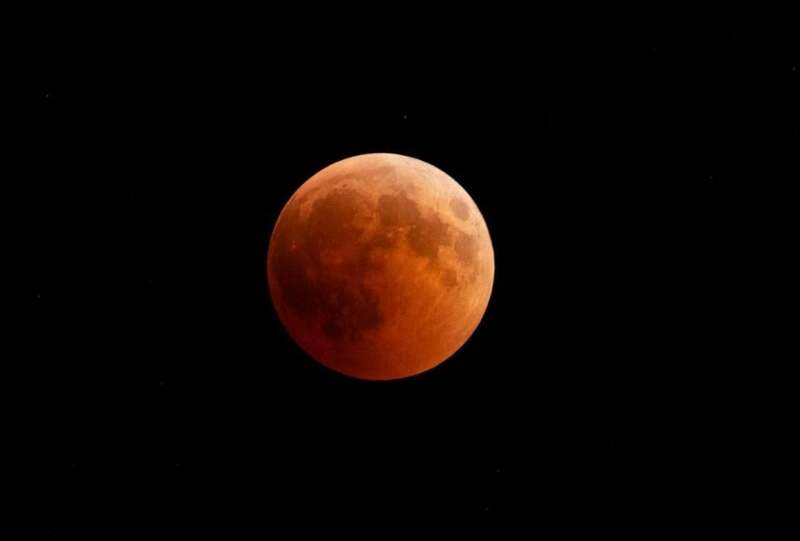 A total lunar eclipse was photographed from Turkey in July 2018. The moon, Earth, and sun will line up Sunday night for the only total lunar eclipse this year and next. At the same time, the moon will be ever so closer to Earth and appear slightly bigger and brighter than usual — a supermoon. The whole eclipse starts Sunday night on the East Coast, and will take about three hours. It begins with the partial phase at 10:34 p.m. That’s when Earth’s shadow will begin to nip at the moon. Totality — when Earth’s shadow completely blankets the moon — will last 62 minutes, beginning at 11:41 p.m. Some places will be livestreaming it, including the Griffith Observatory in Los Angeles. In the United States, the eclipse will begin relatively early Sunday evening, making it easier for children to stay up and enjoy the show. Plus the next day is a federal holiday, with most schools closed. But the weather forecast for much of the country doesn’t look good. ‘‘The good thing about this is that you don’t need any special equipment,’’ he added. Asia, Australia, and New Zealand are out of luck. But they had prime viewing last year, when two total lunar eclipses occurred.